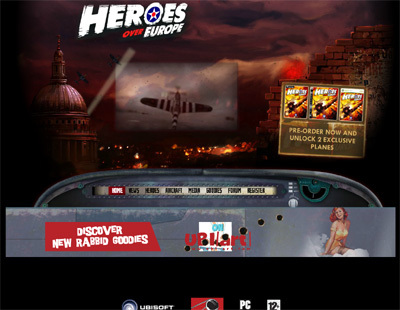 Heroes Over Europe is one of the best flight simulation platform games I have ever come across since I have been reviewing games and it is simply brilliant. The game has the effect of keeping you glued to the television screen for hours on end and before I knew it over ten hours had passed which is always a good sign when playing any game. We have also compiled a Review System for this, of which Heroes Over Europe is Rated as Four Stars, the second highest possible score available from the Game Review Team.